Newspaper with drawings produced for the exhibition Cart[ajena]. 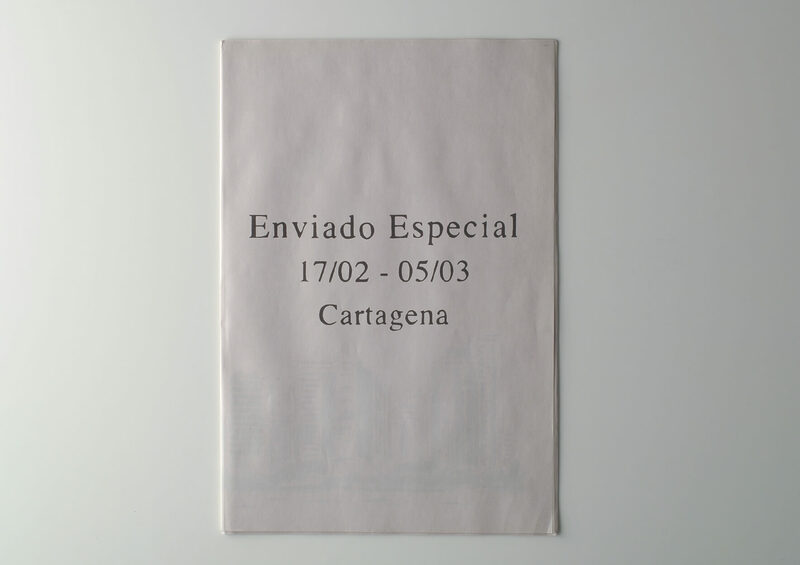 R. Chaves becomes a reporter accompanying the journalists of Cartagena’s newspaper “La Verdad” in their daily search for news, even attending their editorial meetings. Starting out from the same documentary input, Chaves makes his own newspaper where the news is transmuted by his own subjectivity, social conscience and political bias.